1. Tuesday Evening Training Ride: Meet by Trowse/County Hall roundabout for 6:30pm prompt. (spring & summer only.) Open to other clubs. Usually two groups comprising a very fast “Chaingang” and a fast training ride. Only experienced group riders should attend. 2. Wednesday Evening Club Ride: Meet at the green at Cringleford to leave at 6.30 pm. (spring & summer only.) A steady ride at the pace of the slowest rider. This is a club ride so don’t come along expecing a fast ride, and don’t take it upon yourself to up the pace once we’re going. It’s a VC Norwich only ride, with the usual proviso of being open to people for a couple of times before they join. 3. Thursday Evening Training Ride: Meet at the green at Cringleford to leave at 6.30 pm. (spring & summer only) A fast training ride at approx. 20+ mph average. Only experienced group riders should attend. Sometimes splits into 2 groups but don’t come along expecting a club ride. It’s a VC Norwich only ride, with the usual proviso of being open to people for a couple of times before they join. Next Sunday, May 1st sees our first Open TT of the year and, as usual, we need your help to make it happen and to maintain our club reputation for organisation and marshalling for such events. It will mean no club rides from the Forum that day. So why not come along with your bike in the car, help for the morning, and then take a ride out from the gorgeous surroundings of World Horse Welfare near Snetterton. We need volunteers from sign-on time at 0700 with riders off from just over an hour later and it should all be over by about half past ten. We need a minimum of a dozen marshalls to make the event work and we’re also looking for someone who has both a largish car and an alarm clock to help put out the signs from 0600. Please, please take this opportunity to give something back. Will Bamber works extremely hard to organise the club’s open TTs and all we’re asking from you is less than half a day on a Sunday. All offers of help to Will Bamber by either message on facebook or text 07810 240603. Your road race needs you! 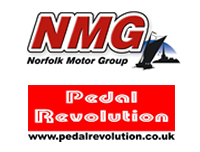 Saturday June 5th – The VC Norwich Road Races. Our biggest event of the year and your chance to give something back. I hope you agree that we have an exceptional cycle club and much enjoyment is shared every Sunday (plus evening rides) with a great bunch of people passionate about cycling. I have asked myself over the last year or so how I can repay the club in some small way and I am hoping that you too can be persuaded to give a little back. Every year VCN hosts a Road Race and we need around 30 volunteer Club Marshals basically to help at road junctions and locations along the race route. (We also need 4 people as support for the race vehicles). The whole event relies on volunteers and if we don’t have the numbers then the event cannot run. You will have an experienced Accredited Marshal supervising you. Can you give your club a few hours of your time? I’m really hoping so. The Road Race takes place on Saturday June 25th at Great Cressingham (Just west of Watton). There are two races: men’s in the morning and women’s in the afternoon. The morning race starts at 10.30am and we would need you at the Village Hall at 9.15am for briefing. For the afternoon you would need to be there at 1.15pm for the same briefing. Can you spare a morning or afternoon – or both? Drop me a positive response and I will email you all the information you need about the day. In the past we have sometimes struggled with numbers but hopefully not this year. YOUR club really appreciates your support.